Gulf Air, the National Carrier of the Kingdom of Bahrain, announced its strategic partnership of the Fifth edition of ‘Shop Bahrain’. The partnership comes in line with Gulf Air’s efforts to support the Kingdom’s initiatives that contribute to the boost of the tourism sector. Shop Bahrain is a 30-day event aimed at celebrating the Kingdom’s hospitality and tourism offering, reinforcing Bahrain’s position as a tourist destination – in particularly visitors coming from neighboring GCC countries – due to its close proximity. The Festival offers a unique shopping experience with fun-filled family entertainment and valuable prizes from the 1st of January until the 2nd of February 2019. Through its strategic partnership Gulf Air is offering 5000 discounted airline tickets for Business and Economy Class Return tickets, among the 73,000 instant prizes given to the Festival’s winners. 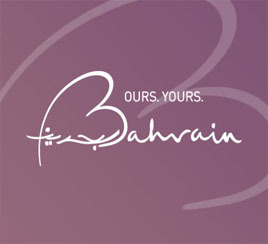 It will also promote Shop Bahrain through its media channels. It is worth noting that Gulf Air has recently rebranded and introduced its new brand identity and livery in 2018. It also added 6 new destinations in addition to adding 5 new Boeing 787-9 Dreamliners and an Airbus A320neo to its fleet. Shop Bahrain’ reinforces the Kingdom’s position as an accessible and welcoming destination to families due to its proximity to GCC countries through King Fahad Causeway or the Bahrain International Airport. The Festival offers varied experience through participating malls and hotels which will allow visitors to enter the Loyalty System and win valuable prizes.